Need a more efficient way to locate your important information? 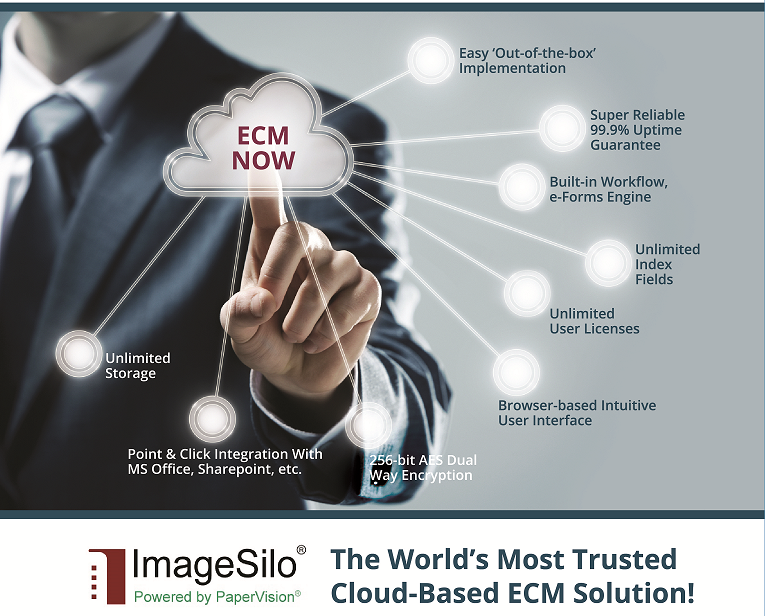 Move into the cloud with ImageSilo, the world’s most-trusted cloud ECM! ImageSilo is an ultra-secure, on-demand, Enterprise Content Management (ECM) system,offering all the same features and functionality of an on-premise ECM system. Outsource your data storage with ImageSilo, and get secure online access to information anywhere in the world, at any time, instantly-without capital expense or increased administrative burden. Cloud-based ECM or EDMS, is the most Efficient, Scalable and Versatile Paperless Solutions specially tailored to your needs! 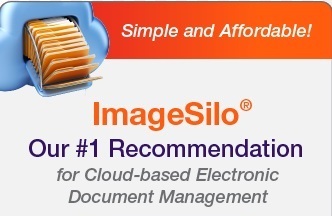 ImageSilo® delivers the power of PaperVision® through the convenience of the cloud. 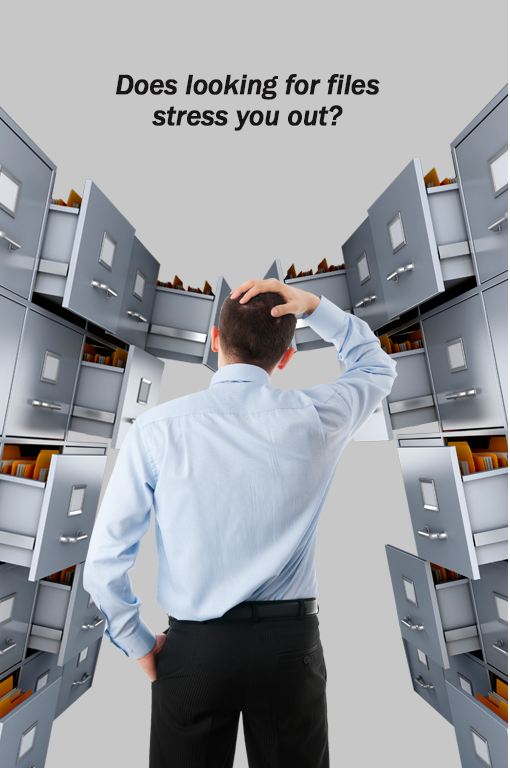 Struggling with tons of documents? Can’t find that document when you need it urgently? 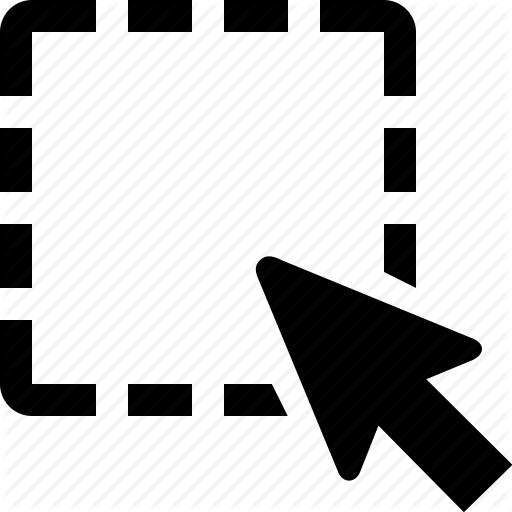 ImageSilo® offers a secure document storage and web-based retrieval solution that provides the ability to access any document, anywhere, anytime from a standard web browser without any software costs. Improve Results through Better Efficiency ! Think scanning your older paper records is too time-intensive? Think again! 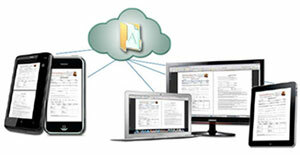 PaperFlow makes it fast and easy to capture the critical business information you have stored in paper files. Setup the system in minutes using the Job Setup Wizard, which guides you through five easy steps. Create index information without typing a single character! You can automatically populate index values via barcodes and OCR, or use Quick Click to simply click on the term you need in the document image to populate that data in the index field. You can also integrate with nearly any data source and merge data across individual documents or entire batches with Match and Merge. 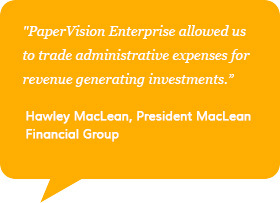 PaperVision Enterprise Securely Manage Information to Improve Business Efficiency. Control access and increase information security using a simple, searchable Enterprise Content Management (ECM) system. Enable automation and tracking of busines processes throughout the information lifecycle. Ensure your documents stay protected. ImageSilo® PaperVision® Paperflow® are products by Digitech Systems Inc. FILEforce is an Authorized Digitech Reseller.